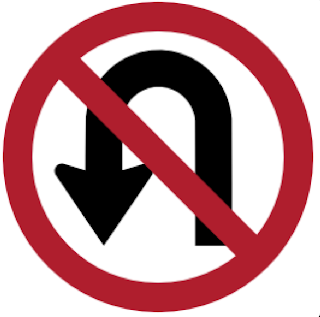 Classically Liberal: Climate U-Turn or Explanation? The controversy around climate alarmist Phil Jones simply won’t die. But this time he is feeding the flurry of reports with his own admissions. Meanwhile, defenders of Jones argue that one reason he can’t comply with Freedom of Information Act requests is that Jones is a sloppy researcher who has piles of unsorted paper and data just sitting all over his office. Temperature data for the period 1860-1880 are more uncertain, because of sparser coverage, than for later periods in the 20th Century. The 1860-1880 periods is also only 21 years in length. As for the two periods 1910-40 and 1975-1998 the warming rates are not statistically significantly different. I have also included the trend over the period 1975 to 2009, which has a very similar trend to the period 1975-1998. So, in answer to the question, the warming rates for all 4 periods are similar and not statistically significantly different from each other. Jones says he is “100% confident that the climate has warmed” but when asked how confident he is that humans are responsible his response is significantly weaker, saying only that “there’s evidence” that could be the case. It appears that Jones is skeptical of the MWP being global because: “There are very few palaeoclimatic records for [the tropical regions and the Southern Hemisphere].” As a result: “We cannot, therefore, make the assumption that the temperatures in the global average would be similar to those in the northern hemisphere.” Fair enough, if true. But neither can we assume that a similar trend didn’t happen, which is what the alarmists seem to do. A lack of evidence is a lack of evidence, not proof of an alternate theory. This is like UFO theory. A UFO is an “unidentified” flying object. It simply means something in the sky, which can’t be identified. The lack of identification is used by UFO loons to claim that unidentified objects are then proven to be space aliens. Jones seems to assume that only solar and volcanic activity, outside of carbon dioxide emissions, can cause warming trends. His interview, at the very least, gives the appearance he is saying, that since he dismisses solar and volcanic activity as the cause of warming, then only human action remains. That climate change may be caused by dozens of factors interacting with one another doesn’t seem considered. Climate change may not be mono causal at all. It may well be that numerous causes, none of which are individually significant, could work in concert to create shifts in planetary climate. posted by blog owner at 2/16/2010 04:14:00 AM DiggIt! Reddit Del.icio.us Slashdot It!